Ruth Helen “Peaches” (Endicott) French of Grace Village Retirement Community in Winona Lake, Indiana passed away at 1:45 a.m. on Friday, February 1, 2019 at her residence in Winona Lake, Indiana at the age of 88. She was born on August 4, 1930 in Evanston, Illinois to Clara Frances (Butts) Endicott and Adoniram Gordon “Don” Endicott. On June 23, 1951 she was married to Harold K. French, who passed away on June 27, 2014. Peaches was a homemaker and accompanied her husband as he pastored several churches in Michigan, Kansas, and California throughout their lives. 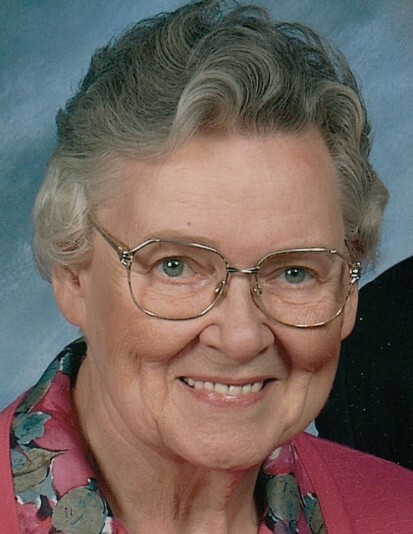 She was a resident of Kosciusko County, Indiana for the past 51 years and had been attending Community Bible Church of Warsaw. Peaches was a Godly example of Christ’s love to her family and friends and will be dearly missed. She will be lovingly remembered by her four sons: Dwight (wife Amy) French (San Jose, California); Kent (wife Evelyn) French (Tucson, Arizona); John (wife Jackie) French (Warsaw, Indiana); Andrew French (Winona Lake, Indiana); three daughters: Susan Aderman (Warsaw, Indiana); Mary (husband Bob) Trombadore (Virginia); Elizabeth (husband Jim) Milliman (Fort Wayne, Indiana); sixteen grandchildren and four great-grandchildren. She was preceded in death by her parents, husband, and one sister. Her memorial service will be conducted at 10:00 a.m. on Friday, February 8, 2019 at Grace Village Retirement Community in the Grace Village Chapel, 337 Grace Village Drive, Winona Lake, Indiana and officiated by Chaplain Bryan Benjamin and Pastor John French. A private family graveside service will take place at Oakwood Cemetery of Warsaw. Arrangements were entrusted to Redpath-Fruth Funeral Home, 225 Argonne Road, Warsaw, Indiana. Memorial donations may be directed to World Missionary Press, 19168 CR 146, New Paris, Indiana 46553 and would be appreciated by her family.